Why do we need to fundraise? 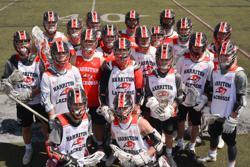 Check out the Financials page for info on the cost to run the Harriton Boys Lacrosse Program. Click on the Registration Link to the right to make miscellaneous payments to Harriton Lax Boosters (auction items, breakfast table, etc. ).